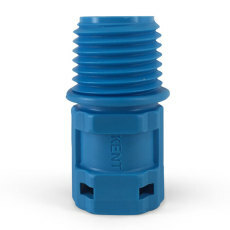 This Kent Systems 5/16" Barb X Male fitting is a male 400 series fitting that works with female 400 series fittings. 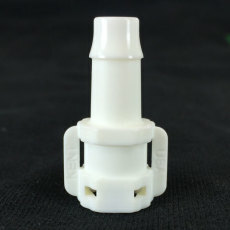 It is a connector with an internal shut-off that is often used in gas applications. 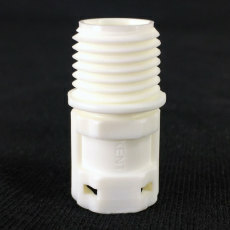 It has a 5/16" barbed end opposite of the male quick connect fitting. Made of a high grade nylon plastic that can withstand temperatures up to 250F, making them perfect for use in your home brewery. 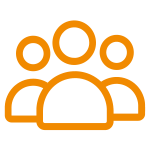 Intuitive 1/4 turn design is simple to use. 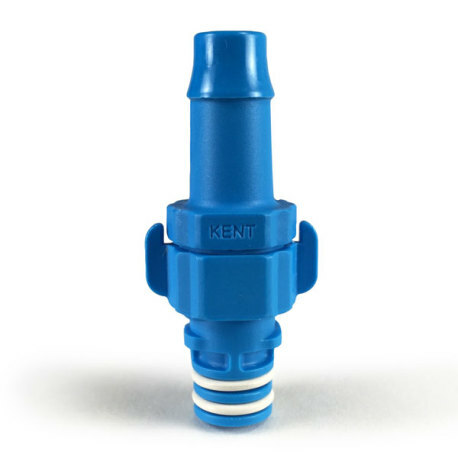 When disengaged, the 1/4 turn design can safely function with pressure up to 125 p.s.i. 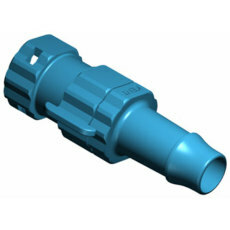 Barbed fittings feature a more effective and reliable single barb design, which eliminates the use of hose clamps in most applications.